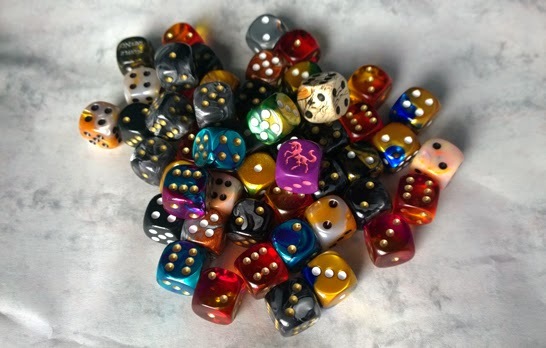 Considering I had a dice clear out the other day, I have way too many. 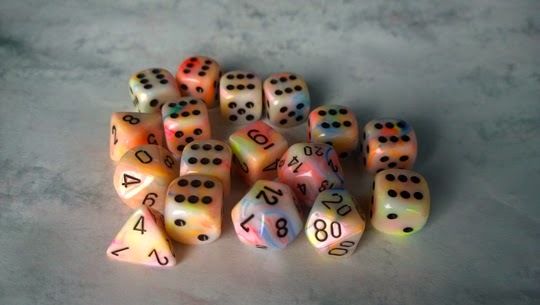 My unicorn poop RPG dice, usually for elves. 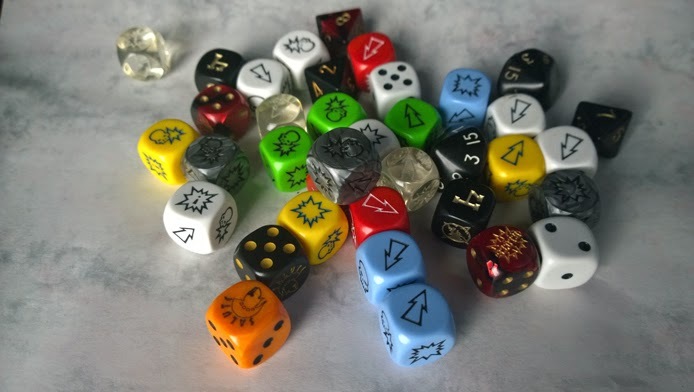 I used them once with my orcs for Bloodbowl. Not good. 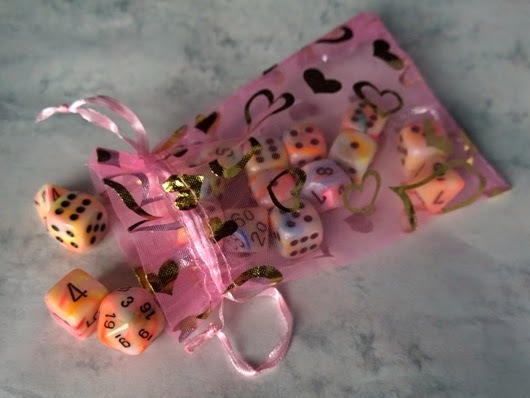 In a gay little dice bag.. 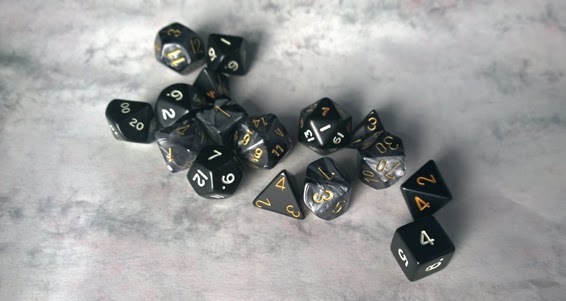 I know the colour of this photo is weird, it just looks nice! 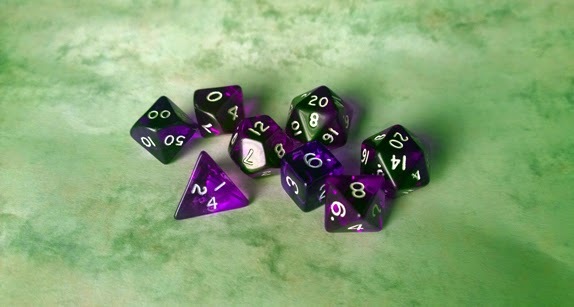 My purple RPG dice for non elf good guys!